Sometimes, I fear, we miss the truth about life in the early church simply because we do not intentionally listen to what the letters of Paul and the book of Acts tell us about that life. We reach for a passage that seems like a clear propositional command, then apply that command to all churches and context without seeing how the early church actually functioned. We fail to examine whether that command was for a unique situation or a specific congregation. As we examine the value of women to the work of God in the early church, we must resist making contextual principles into blanket commands. We must examine the roles women actually performed at the request of or with the blessing of the apostolic leaders before deciding on limiting what any group does. Today’s reflection is one post among twelve. [NOTE1] Each of these reflections seeks to hear how God, along with his appointed leaders, valued women in the life of Israel and the community of Jesus. Paul and his companions traveled throughout the region of Phrygia and Galatia, having been kept by the Holy Spirit from preaching the word in the province of Asia. When they came to the border of Mysia, they tried to enter Bithynia, but the Spirit of Jesus would not allow them to. So they passed by Mysia and went down to Troas. During the night Paul had a vision of a man of Macedonia standing and begging him, "Come over to Macedonia and help us." After Paul had seen the vision, we got ready at once to leave for Macedonia, concluding that God had called us to preach the gospel to them (Acts 16:6-10). These early believers from Macedonia became very precious to Paul. A cursory reading of Philippians points us to this truth. In addition, Paul’s love for the Thessalonians shines through in his heart-felt language to them (1 Thessalonians 1:2-3; 2:7-8, 11-12). Paul’s special relationship with these churches in Macedonia was reflected in their support of him financially (Philippians 4:15), something Paul did not allow other churches to do. When Paul later challenged the Corinthians to fulfill their generous commitments to support the impoverished churches in Jerusalem, he pointed them to the Macedonian churches as an example of sacrificial giving in the face of suffering (2 Corinthians 8:1-7; Romans 15:26-27). Later, the great missionary found ways to visit these Macedonian churches whenever possible (Acts 19:21-2; 20:1-3; 1 Corinthians 16:5; 2 Corinthians 1:16; 2:13) and use their congregational representatives in his work to bless the fellowship of believers (Acts 27:2). Paul’s close relationships with Macedonian Christians is also shown in another key way. God’s call for Paul and his team to enter Macedonia re-opened their eyes to a ministry component central to Jesus’ ministry. This principle would be essential to the apostle’s ministry in Macedonia, and beyond. Paul relied upon the conversion, vitality, giftedness, and support of respected, talented, and godly women. In other words, the importance of women to the work and message of Jesus didn't end with their support of Jesus or their promise of Joel fulfilled at Pentecost. Jesus’ promise to Mary about playing a role as one of his rabbinic students didn’t end with his return to the Father. As the message of Jesus moved into Macedonia — a place where women appeared to have more freedom than in other parts of the Roman Empire — we see women play increasingly vital roles in evangelism, participation in the life of the church, financial support of the churches’ ministries and ministers, and leadership. The story of Paul's early work in Europe begins with a group of women gathered at the Jewish place of prayer in Philippi. Lydia, a respected merchant in Philippi, and her household came to Christ. Lydia provided her house for the missionaries to use as a base of their ministry as well as the place for the new church to meet (Acts 16:1-15, 40). In Philippi, Paul later freed a woman from a demonic spirit that bound her. This liberation also freed her from the men who "owned" her and exploited her demonized condition for financial profit. This dual liberation created such a stir that the team was thrown in jail. However, God’s intervention opened the door for Paul and Silas to lead the jailer and his family to Christ, even though it ended up pushing them out of Philippi on to Thessalonica (Acts 16:16-40). Nevertheless, as Luke tells us the story of the gospel penetrating into Macedonia, women provided the vital impetus for the planting and growth of what were probably several house churches in Philippi. Paul called each of them out specifically in his letter as it was read before the whole congregation — similar to what Paul did with Philemon by having a letter read before the congregation in Colossae (Philemon 1:1; Colossians 4:7-9). Paul used the same key phraseology in correcting them as he used with the whole church (Philippians 2:2, 5; 4:2): be of the same mind in the Lord. Paul’s language suggested that their disagreement was possibly at the heart of the church division. Paul enlisted a key partner in Philippi to help these two women work out their problems with each other that was threatening the whole church (Philippians 4:3). 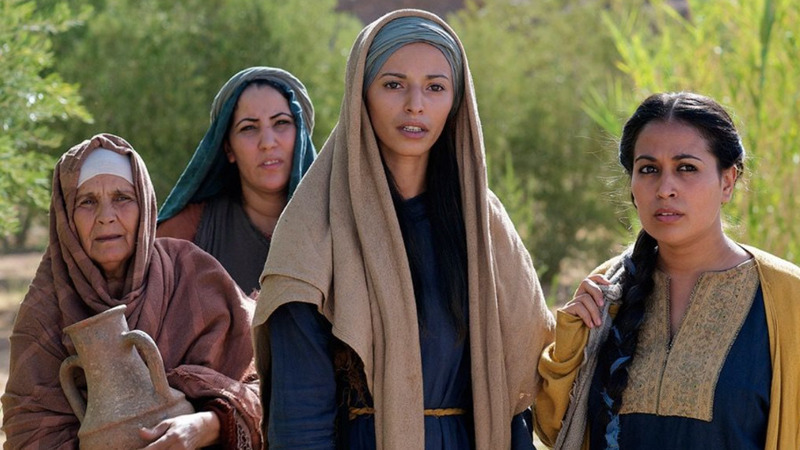 Clearly, these women had important roles in the life and leadership of the church in Philippi. Their work had been vital in leading others to Jesus. Now, their disagreement was so volatile that Paul had to address it in his letter to the whole church, appointing a specific person among them to help these ladies solve their problems that were threatening to split the church. Where did these women gain such influence and power in the life of this important church? Paul’s language suggests that they were probably evangelists who helped lead many of the church family to Christ. These leading roles for women in Philippi shouldn’t surprise us. Just down the Roman highway, the Ignatian Way, in the towns of Thessalonica and Berea, Paul's teaching and preaching connected well with more than a few of the "prominent women" in the cities (Acts 17:4; Acts 17:12). That women were given prominence in Macedonia is paralleled by the importance they played in those churches. 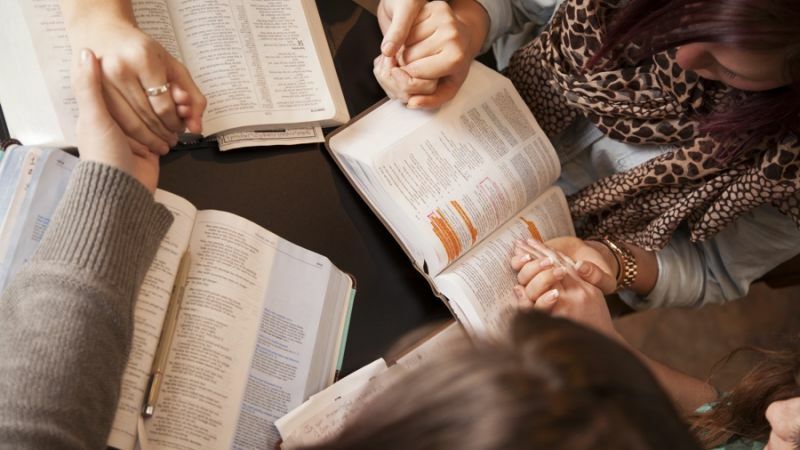 As we talk today about how God values women and their vital roles in Jesus’ church today, we must be aware of how God prominently involved women in growing the early church. As we carefully read the book of Acts and Paul’s letters, we begin to realize this use of women was found across all sorts of cultures. It was declared by Jesus to Mary. It was tied to the prophecies of Joel at Pentecost. We see it displayed in Paul's travels into Europe. Women played indispensable roles in giving birth to the church, the spread of the good news of Jesus, and the work of building God's kingdom across cultures, breaking down barriers between races, and in involving both genders in Jesus’ movement of liberating grace(Galatians 3:26-29). We will encounter these principles again next week as the good news of Jesus spread to Rome with women playing vital roles in all levels of church ministry and fellowship, well before Paul even ministered there. In a time when many religious cultures gave women few leading roles, Jesus and Paul relied on them in many ways — prayer, financial support, ministry, compassion, places to stay, evangelism, and as we will see next week, considerably more. Without these leading women of faith, who knows how much less the early church would have accomplished for Jesus? Yes, and I ask you, my true companion, help these women since they have contended at my side in the cause of the gospel, along with Clement and the rest of my co-workers, whose names are in the book of life (Philippians 4:3). Both of these terms highlighted in bold are considered technical terms for the work of evangelizing alongside Paul in challenging circumstances. Special thanks for the use of the Jesus images in Phil's series of reflections on women. These images are taken from the amazing resources of Free Bible Images and The Lumo Project. "The Macedonian Connection" by Phil Ware is licensed under a Creative Commons License. Heartlight encourages you to share this material with others in church bulletins, personal emails, and other non-commercial uses. Please see our Usage Guidelines for more information.